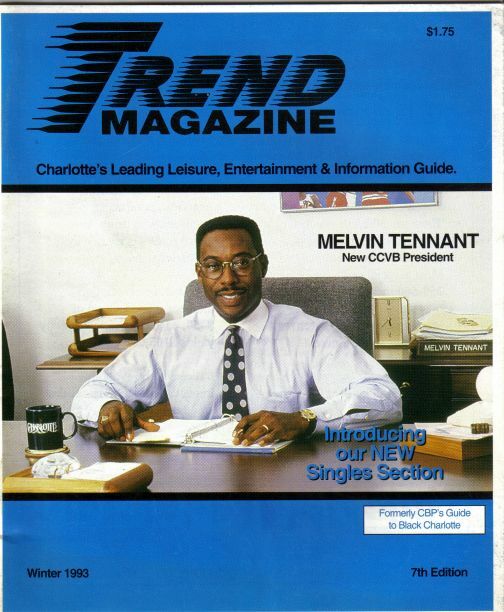 This publication was first produced in the winter of 1991 as The Guide to Black Charlotte and was the first distributed magazine targeting African-Americans in Charlotte, NC, and first publication across-the-board to feature singles advertising. Back then the city of Charlotte suffered from the old holier-than-thou complex and people looked down on folks advertising themselves for dates and likened it to prostitution. In fact, it was so bad that a local church cancelled their pending subscription order because we featured a model in swim wear. My God! Oops! I occasional read some of our old editions and wonder what happened to the folks and businesses that we covered back then in the early 1990's when Charlotte did not even appear on the national weather map and people would confuse it with Charleston, SC, or Charleston, WV. The Mayor of Charlotte back then (1991) was the honorable Sue Myrick who did her thing as a North Carolina State Congresswoman until retiring years ago. 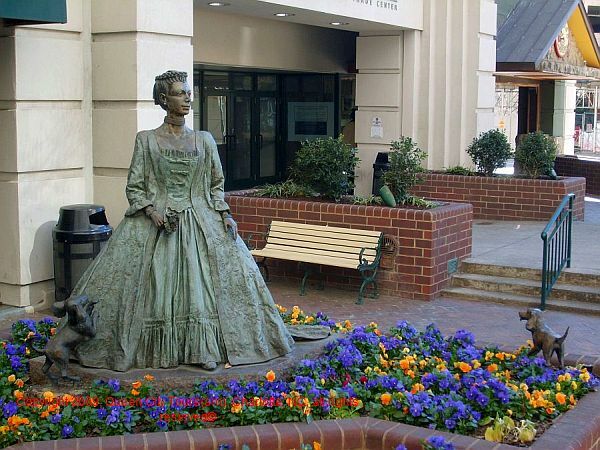 By the way, she was the first and only female Mayor in Charlotte history until Jennifer Roberts (and today Vi Lyles),and was nice enough to provide us with a signed welcome letter dated January 11, 1991. I wonder what it would fetch on eBay today? That first edition in the winter of 1991 featured an article on the old Charlotte Coliseum which was still new -- Opened 1988 -- and had replaced the Independence Arena -- Now Bojangle's Arena -- as the venue for basketball, most big concerts, and shows like the now defunct Ringling Brother's and Barnum and Bailey Circus. In addition, it was the first home of the former Charlotte Hornet's NBA (National Basketball Association) men's professional team. That edition also featured an article -- written by myself -- on First Fridays which I have heard is still functioning, and articles on the now defunct Ubiquitous (art) Gallery on East 7th Street; the defunct West Fest, Clinton Chapel A.M.E. (African Methodist Episcopal) Zion Church, and the late Mr. John McDonald of the now defunct McDonald's Cafeteria on Beatties Ford Road. Madam C.J. Walker (Black millionaire cosmetics manufacturer, 1869-1919) was the featured inventor. Alas the new layout of Trend Magazine Online™ has become a reality! Our site has been up for quite some time; however, we have decided to redesign our format to one that more resembles a print publication while providing continuous updates and fresh new content. Technology has certainly changed immensely since our printed publication was shelved after the Summer 1993 edition. For instance, producing a full color photograph on the front cover required an expensive process called color separation. This process would involve an additional printer/person who possessed a very expensive camera that would produce four sheets of film -- one for each basic color. Each basic color then required a separate metal plate to print your four color photo. The entire composition would sometimes take several days to complete and could cost as much as $500.00 or more for one cover photo. Today this process is available at the click of a mouse and can be performed in seconds by a computer that costs less than the cost of producing one full color photo. This next to the last print edition features Mr. Melvin Tennant former -- and first African-American nationwide -- President and C.E.O. of the now defunct Charlotte Convention and Visitors Bureau. It is for that reason that we have decided to revive our magazine in an online format first and if a demand exists, we will follow-up with a print version. Our online format does -- to a certain extent -- follow the format of our past printed versions and includes a travel article, travel interview, travel news, travel review, to 10 travel destinations, and a tribute to celebrities who have passed away. Our goal is to keep our information and content fresh and exciting, therefore, we need your continued assistance by way of comments and suggestions. 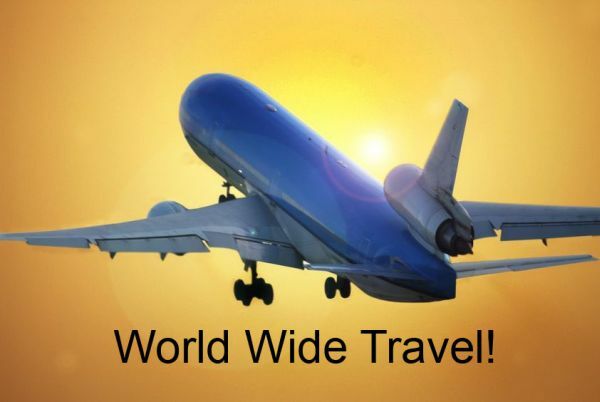 We are aware that there are seemingly as many travel-related publications and web sites out there as there are coffee houses in urban america; however, we plan to ensure that we feature people, places, and things that span a wide variety of cultural spectrums. 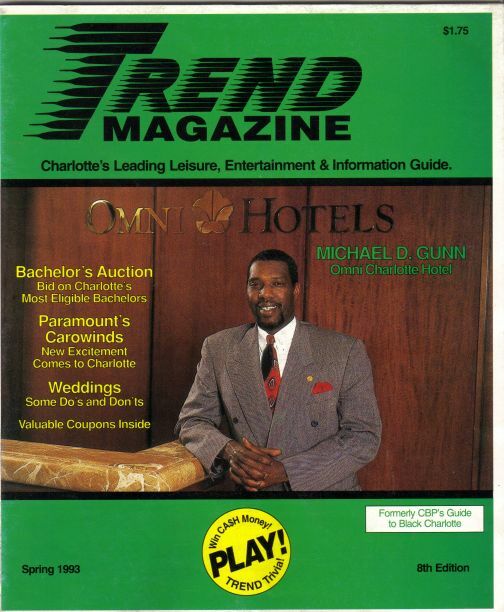 This last print edition features Mr. Mike Gunn former Sales Director at the Omni Charlotte Hotel. He is now working in the industry in Birmingham, AL, and is still a nice person to know.